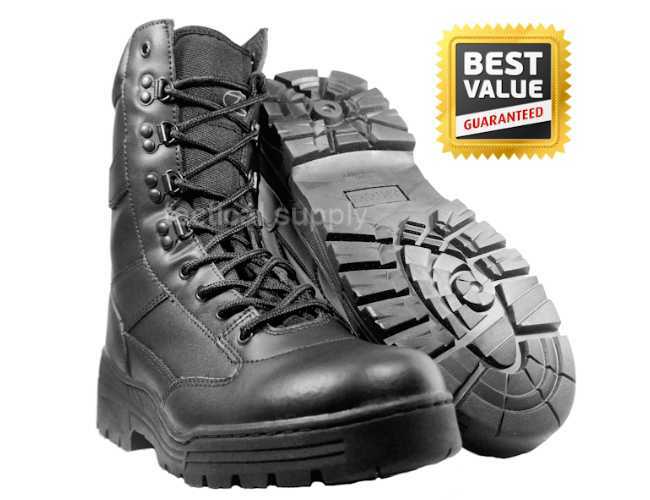 This is a great boot for the cadets, ATC, ACF and anyone wishing a good quality boot at a great price.This is a superb military, cadet and combat boot. It has a leather upper with a durable grip sole.The lining is a Thinsulate one to give better insulation in different climates. A padded collar has been introduces to give added comfort. lightweight full grain action leather. 8 eyelets lace up system. This is a full grain leather and rubber sole boot. This cadet boot is on special offer for a limited time only.